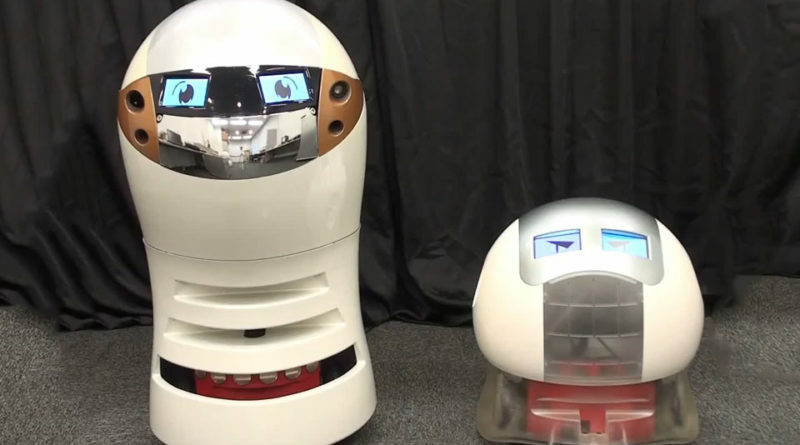 No longer content with just working in hotels and warehouses, robots are looking to break into the entertainment industry. With what we assume is making Richard Pryor turn over in his grave, two Japanese robots are jumping into the world of comedy. Meet comedians Ai-chan and Gon-ta. The two robots trade puns and jokes back and forth. Developed at Konan University, the robots use artificial intelligence to search online for information about a particular subject. Ai-chan and Gon-ta then create a spontaneous comedy routine from the data. If the whole stand-up comedy thing doesn’t work out, the robots can also make quirky comic strips. A user enters some keywords, the AI then grabs some info from the internet and the robots automatically generate an original script. Ai-chan and Gon-ta will even read the scripts out loud with changing facial expressions. So after watching the videos, we don’t think the robots will be getting a Netflix special anytime soon. Still, every comic has to start somewhere. Maybe Ai-chan and Gon-ta can do a few open mics in Tokyo but the comedy robots aren’t ready for the big stage just yet.